Desktop hard drives are an important asset when you need some extra storage space or if you’d like to safeguard your files and data. 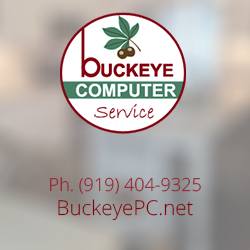 While they cost you something up front, they can be a good investment, giving you peace of mind and even helping your computer run faster. In this article, we are going to look at some of the very best desktop hard drives as well as details that you need to look for when you are buying your own. The LaCie Rugged All Terrain Portable external hard drive is, as you’ve probably figured out, a hard drive that is durable and tough and you are able to take it pretty much anyplace. It’s built with a shell that is aluminum and that will resist scratches as well as a rubber bumper that is shock resistant and will help protect it from accidents. It still requires some care, however, particularly when you’re transferring your files. This external hard drive is made to be compatible with any computer, as it gives you FireWire 800, FireWire 400 and USB 2.0 compatibility. It doesn’t even need a power cord, you just plug it into your computer. The LaCie Rugged external drive has 500 GB of storage space, which is good sized, though not the largest that you can get nowadays. If you want to find a really durable external hard drive, the IoSafe Rugged Portable hard drive is one that you really need to consider. This hard drive is very stylish and made to stand up to a lot of different sorts of punishments. It’s especially useful if you’re going to use it on a ship or other damp environment, as it’s water resistant and will still work even after being submerged in fresh or salt water. With the IoSafe Rugged Portable drive contains 750 GB of storage capacity and support for the USB 3.0 connection. This means that if you have a USB 2.0 connection, you are going to need a separate cable to get it to work. Aside from this, the only disadvantage it has is that, rugged as it is, it’s not designed to work in conditions of extreme heat. One of the first things you have to pay attention to when shopping for an external hard drive is the type of connectivity it offers. Usually you have to choose between USB and Firewire but there are a few devices that offer you both. Firewire is a lot faster but it isn’t part of every computer while just about every modern computer has some form of USB connectivity. There is also an emerging format called Thunderbolt technology that is the fastest of all, but not many devices are using this yet. Another thing that you need to think about is size because today it is possible to find external hard drives that have as much as 2 TB of space which is around 2000 GB. We’ve explored a few of your options if you want to buy an external hard drive. As you have undoubtedly heard by now, it’s really important to back up the important data you have and a good quality hard drive is the easiest way to do this. You’ll be able to store a huge amount of data on these kinds of devices and they will save you worrying about potentially losing anything that is precious to you. 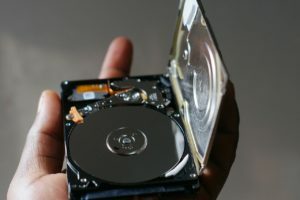 Finding the very best desktop hard drive for what you need is really only a matter of picking a good brand and figuring out which features are the most important to you.